Keep Track of Moving Expenses: Keep your receipts and make a spreadsheet of the expenses, as some are tax deductible. Label Boxes Clearly: Label your boxes clearly, indicating where you want them in your new house. If any boxes contain fragile items, make sure to write FRAGILE on them. You may also want to write what is in the boxes on them. Pack a Necessities Box: When packing up your kitchen, make one box for basic necessities so that you can access them immediately, if needed. The box should contain things like an emergency tool kit, match box, can opener, knives, biscuits, tea or coffee, sugar, towels, soaps, and anything else you think you may need quickly. Clean Your House: Having loads of rubbish in the house will impede the moving process considerably and create more stress. Try to clear out as much as you can before the movers arrive. Clean in Front of Your House: Make sure to leave room in front of your house so that the movers have a clear path from the van to your home. London sidewalks can easily become crowded and this precaution reduces accidents and saves time. Diagram Your New House: Draw a diagram of your new house, labelling each room simply using numbers or letters. Give a copy of this diagram to your London removals company. On moving day, for the doorway of each room, provide a sign which corresponds to the diagram you’ve given the moving company, so that movers can quickly and easily unload boxes and furniture in the correct rooms of the house. Indicate the Packing Order: The optimal way to move into a house is from the back of the house to the front. The kitchen items are to be removed first, as the heaviest items tend to be there so should be moved in last at your new home. 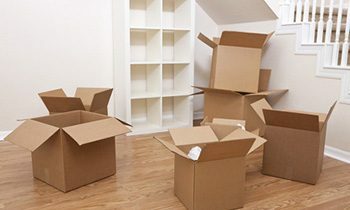 Inform the moving company of which rooms boxes and furniture are to be loaded first and last. Draw a diagram of your house for the moving company, indicating the order of the rooms to be emptied. Give a copy of this diagram to the removals London service provider.